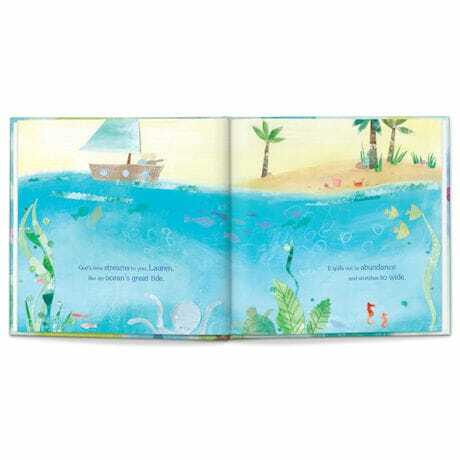 This special storybook makes a cherished personalized baby gift that will become a treasured keepsake. God Loves You! tells the child just how much God loves him or her... and that the child is God's special creation! 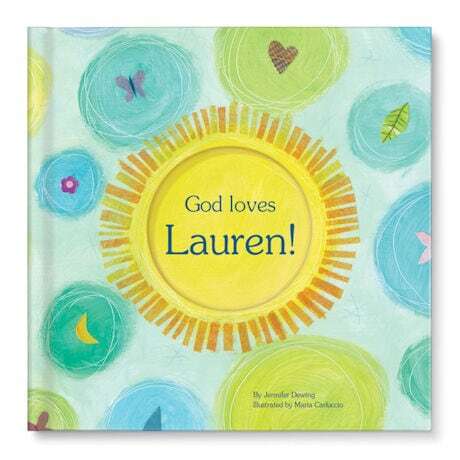 It comes personalized with a child's name on the cover and throughout the text. God Loves You! 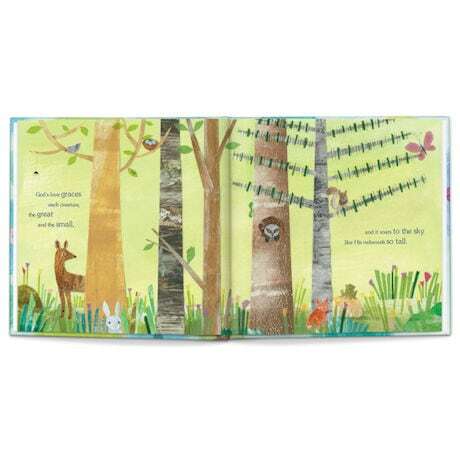 features beautiful poetry by award-winning children's author Jennifer Dewing and colorful, whimsical illustrations by award-winning artist Maria Carluccio. Specify child's first name (up to 15 characters), last name (up to 15 characters), and gender. Ages newborn to 8. Hardcover book is 24 pages. Allow 3 weeks. No rush delivery or gift box. Made in the USA. Item can only be shipped within the Continental US.